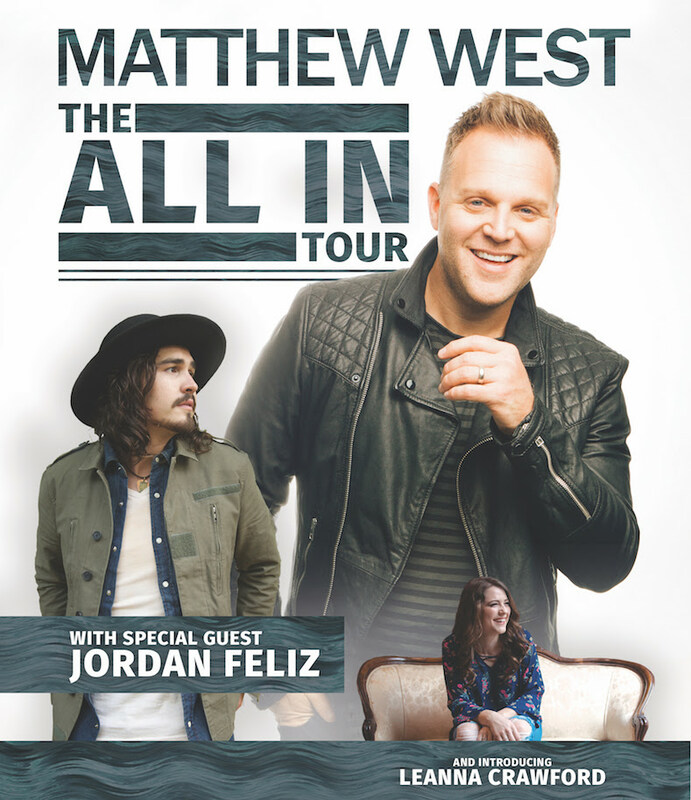 Matthew West will launch his headlining All In Tour this fall, visiting more than 30 cities across the United States. The tour’s inaugural show will hit Houston on Sept. 21, with shows following in Des Moines, Iowa; Lincoln, Nebraska; San Antonio, Texas; Lakeland, Florida, and more. He will bring Dove Award-winning newcomer Jordan Feliz and singer-songwriter Leanna Crawford as opening acts. West says he hopes to introduce fans to new music during the tour, as well as feature collaborations with his tourmates. West’s previous album, Live Forever, released in 2015. His current single is “Broken Things,” from his forthcoming album. “I absolutely love writing songs, and I love watching those songs come to life in the recording studio,” West says. “But it’s getting on the bus, hopping on stage in city after city and carrying that music to a live audience night after night that completes the creative circle. That’s why I do this tour or any other—in hopes that people who are hurting will find a much-needed musical reminder that God loves changing lives. We’re going ‘ALL IN’ with that message this fall and I can’t wait!